August has been a big month for Sagaponack artist Steve Miller. The mixed media painter recently opened his exhibition, Steve Miller: Crossing the Line, at the National Academy of Sciences in Washington, DC (through January 13, 2014) and a new line of clothing and surfboards featuring his art will be available soon in New York and Japan. 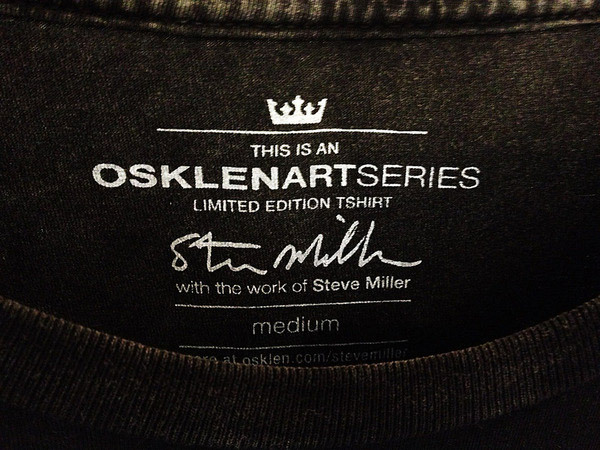 The collaborative design project with Oskar Metsavaht and Eduardo Varela of the Brazilian fashion company Osklen, uses Miller’s work on various limited edition pieces as part of the Osklen Art Series. His clothing is currently available in Rio and Sao Paulo, Brazil—where Miller is quite popular—and will be appearing soon at Oskeln stores in Japan and New York. The shirts, sneakers, shorts and surfboards feature X-ray images of rainforest life, such as a lizard, school of piranha, exotic flora and a crocodile, from Miller’s Health of the Planet series of artworks. Since August 12 and through September 9, Art Rio is also sponsoring a series of light box walls at the Brazilian “Fashion Mall” with the participation of Osklen in separate promotions in Sao Conrado and their stores in Ipanema and Rio de Janeiro. Miller’s show in Washington includes paintings based on the work of Nobel Prize-winning neurobiologist Rod MacKinnon, juxtaposing photographs, drawings and silk-screened images, along with excerpts from MacKinnon’s notebooks. The artist’s work in both the clothing and Steve Miller: Crossing the Line demonstrate his penchant for combining art and science, and he often uses scientific instruments and tools to accomplish his striking and contemplative pieces.